We’ve been away from the farm for a couple of weeks, making the full bi-coastal family tour. It seems a bit crazy to go from Virginia to upstate New York en route to San Diego, but it turned out to be a great way to kill a handful of birds with one stone. We left Virginia on a warm morning, arrived in cold and snowy Rochester that night and a few days later winged our way to the sunny golden state, where we were treated to 80 degrees in March. Close runner up? 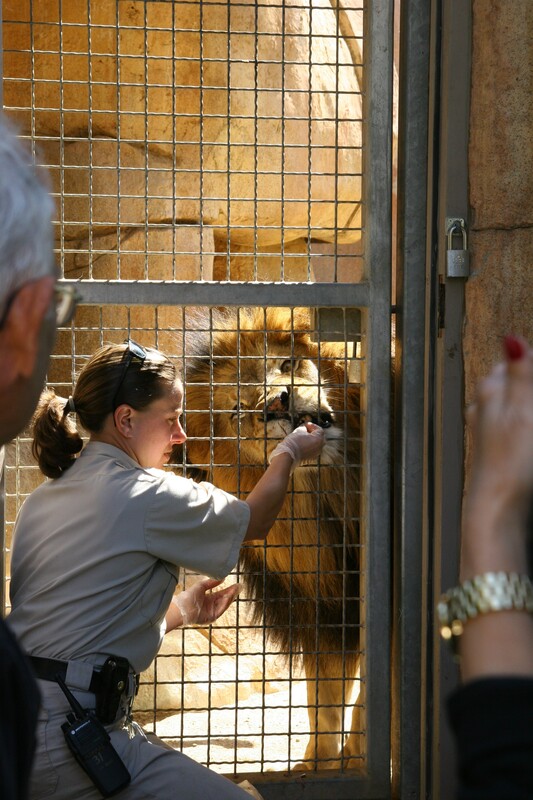 We got to watch the zookeeper feed the lions only 5 feet away (at the San Diego Safari Park). Way cool. While out in SoCal, in addition to spending time with the new baby and parents, we helped out with some handyman projects and enjoyed the bounty of Mom & Dad E’s backyard citrus trees. Oh man, citrus galore. I was banking on some ripe fruit to make some jam, but somehow had forgotten that they had not only orange and lemon trees, but also tangelo, grapefruit and tangerines growing out back. I figured, why not mix them all together? It works for apples in apple pie. 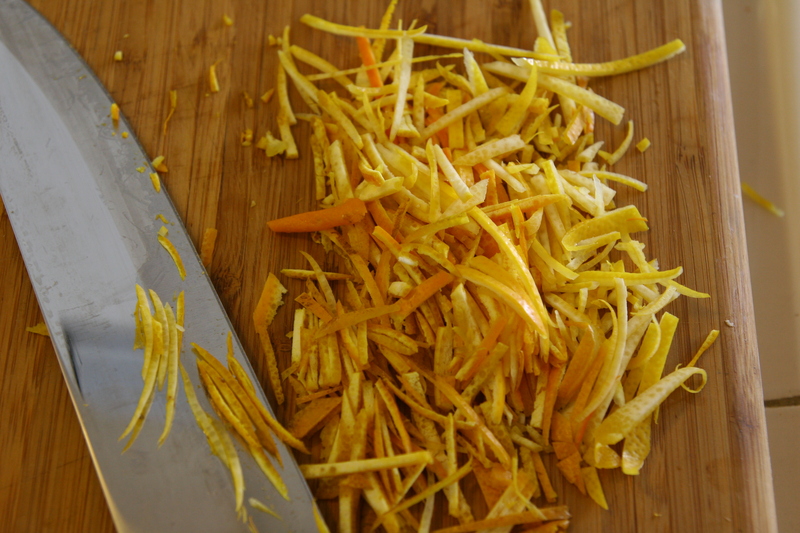 So I got my “volunteers” to work peeling the zest and chopping it finely, (which took a lot longer than I anticipated) and sent M and Ryan to the store to buy some ginger. Because it seemed like a logical addition. We boiled the zest and ginger in water, sectioned the fruit, saved the juice and alos the membrane and seeds to extract natural pectin. When we combined it all together (with the membrane & seeds in cheesecloth) with some sugar it blubbered into a delicious slurry but never quite set into jam. 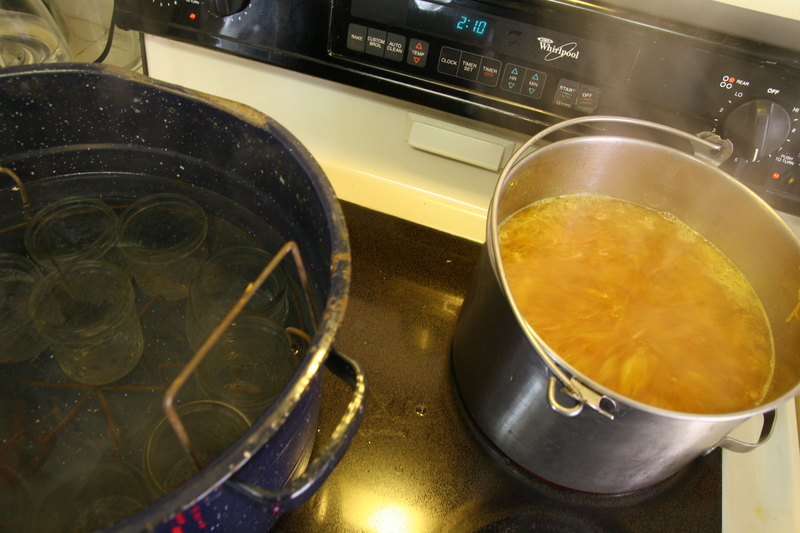 So we added extra pectin packets, cooked it down and canned it up. All said, the project took up the remainder of the afternoon. And despite adding extra pectin it still sloshes in the jar more like syrup than jam. But I’m hopeful it will eventually set. If not, it’ll be great on pancakes. Or orange chicken (thanks Audge & B for that suggestion). And not a one of the 16 jars of Golden State Marmalade that flew back in my suitcase cracked − can you believe it?